Looking to buy an apartment in Chennai at reasonable rate with all the necessities? Chrompetan emerging township is the perfect choice that matches all your needs and expectations. 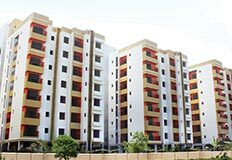 Located conveniently with best means of transportation facilities, the demand for buying apartments in Chromepet is climbing every day. The apartments are available at an affordable price range that we can´t avail in the main areas of the city. 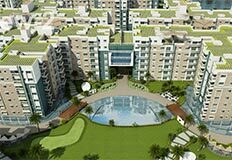 The price of apartments is ranging from Rs.3,500 per sqft to Rs.5,500 per sq ft. Located along GST Road, it has easy access to all major areas of the city through bus and railway transportation. With newly laid flyover, one can easily reach Old Mahaballipuram Road (OMR) which is known as the IT corridor of Chennai. As a result, most of the apartments are owned or rented by IT professionals to make their life easier. Further, Chrompet is well-connected to Chennai Airport, which is just 3 or 4 kms away from the locality. All these key factors make this locality as the most preferred location for the buyers to invest. Moreover, it has some of the finest Education Institutions in the vicinity, which includes Olive Public International School, SrimathiSundaravalli Memorial School, N.S.N Matriculation School and more. Some of the colleges located nearby are S.D.N.B Vaishnav College for Women, Eva Stalin Business School, Madras Institute of Technology, Tagore Arts and Science College, Madras Christian College and so on.The area also owns some of the best hospitals in its surroundings, just to name a few are SreeBalaji Medical College & Hospital, Government General Hospital, Deepam Health Care, RK Nursing Home, Parvathi Hospital etc. In Chromepet, the infrastructure is well-maintained with proper drainage, sewerage, sweeping system and street lights. Apart from it, this locality also has good transportation facility within the area through frequent buses, mini buses and autos. With all advantages and features, Chrompethas turned out be the most demanded location to buy an apartment in Chennai. Some of the trending residential projects in this locality areAmarprakash´s Royal Castle, Temple Waves and Palm Riviera. These projects have apartments ranging from budget apartments to luxurious furnished apartments. 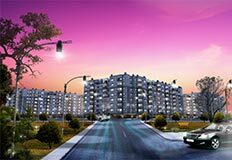 If you are looking to buy an apartment with all the features mentioned above, it´s an ideal choice to buy an apartment in chrompet.